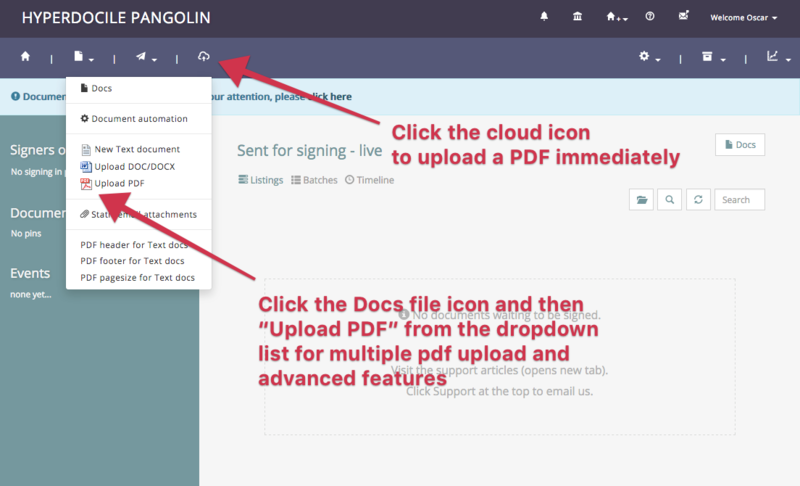 From any place on the site 'Upload PDF' is an option in the main dashboard and marked with a cloud and arrow icon . There is also a dedicated upload page you can find within the Docs section. The dedicated upload page has a drag & drop upload and advanced features. See how to upload upload multiple files on the PDF Upload page.